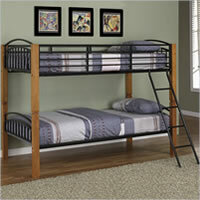 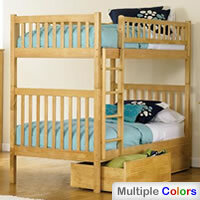 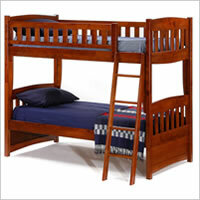 A twin over twin bunk bed features a twin (also referred to as single) size mattress (39 x 75 inches) on both the top and bottom bunk. 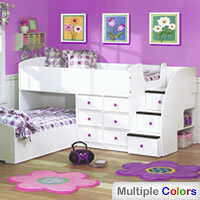 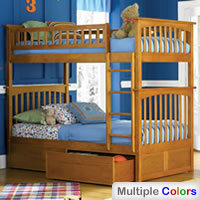 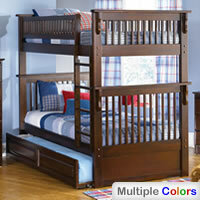 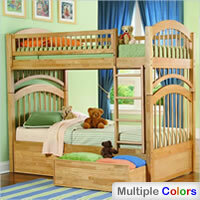 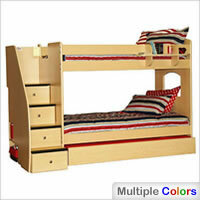 This type of configuration is commonly used to accommodate younger children of approximately the same age; siblings sharing a room makes for a typical such situation, but even if you only have a single kid or they each have their own room, a bunkbed will come handy when a small cousin or a friend living far off pays a visit -- and there's no need to emphasize its usefulness when it comes to sleepovers. 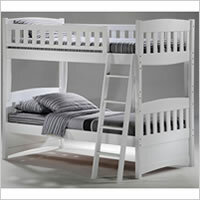 Some advantages of the twin over twin configuration are: its smaller footprint takes up less space, and smaller size also translates into lower cost. 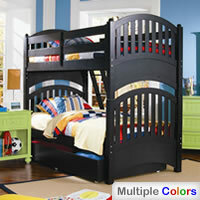 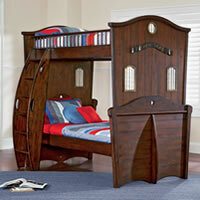 The disadvantage is, kids will eventually outgrow these beds, so for your young adult(s) you might have to get a new one. 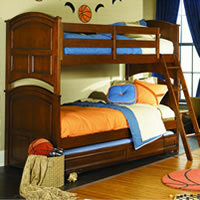 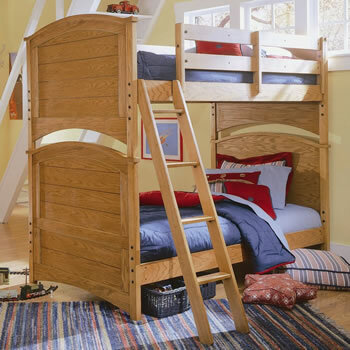 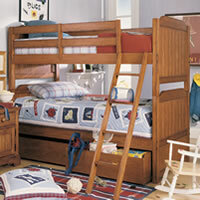 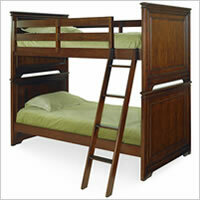 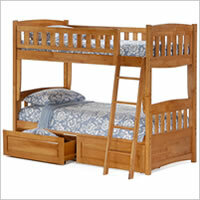 The Lea Austin twin/twin wood bunk bed shown here is a very elegant representative of its kind, featuring a classic stacked configuration. 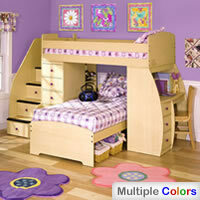 But there are plenty of different shapes and styles and arrangements to choose from, so -- have a look.